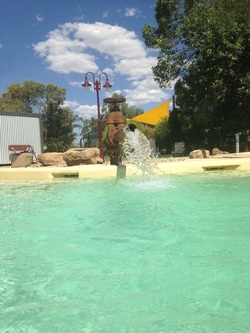 The Major Mitchell Caravan Park is located on the eastern entrance to Mitchell, Gateway to Queensland’s Outback. 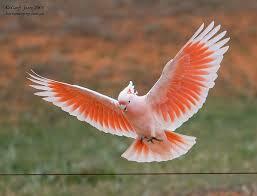 An easy day’s drive from Brisbane, Mitchell is also the half way point between Brisbane and Longreach. 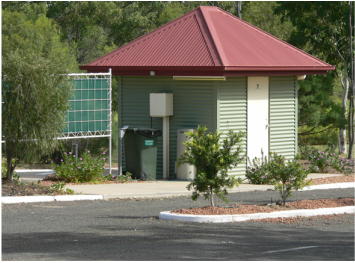 The park is situated on the banks of the Maranoa River with their spacious drive through sites nestled in a tranquil bush land setting. There are a range of site options available including ensuite, powered and camping. Park facilities include clean modern amenities with disabled access, laundry, barbecues and fireplace. ​One of Australia's Pet Friendly Parks! The Major Mitchell Caravan Park has a reputation as one of Australia’s friendliest parks. The welcoming on site management team does their utmost to ensure that your stay at the Major Mitchell Caravan Park is a positive experience. Guests certainly enjoy their stay at the park. In 2011 a high percentage of guests were return visitors and many had received personal recommendations to stay at the park. In the April 2-3, 2011 edition of The Courier Mail, an article entitled “50 beauties for family campers” listed Major Mitchell Caravan Park in 14th position. 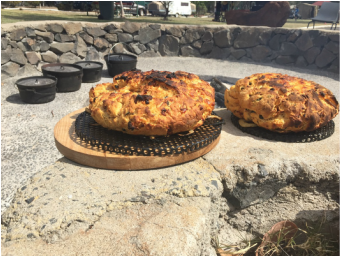 Social activities provide guests with an opportunity to create new friendships with other visitors and the locals of Mitchell. 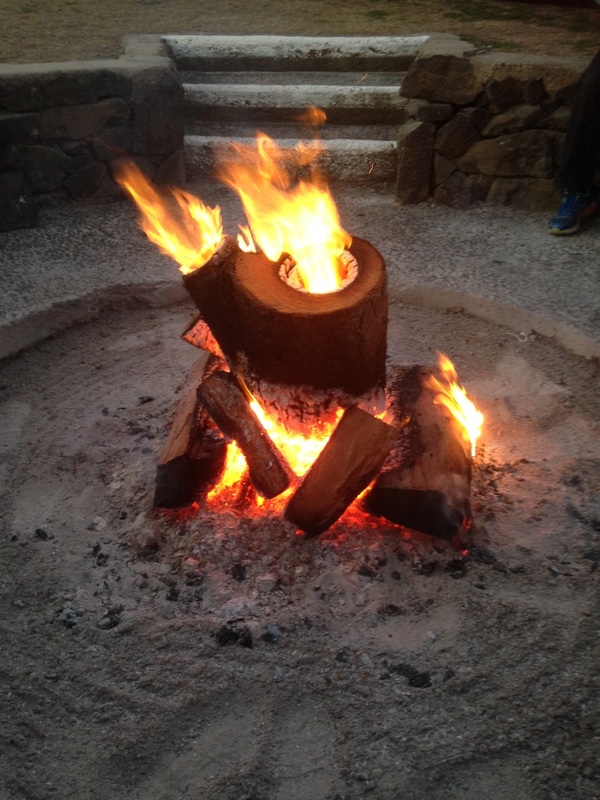 Staff look forward to making new friends and having old friends revisit and creating wonderful memories. The park backs onto the Maranoa River. The river is great for fishing, canoeing and paddling. 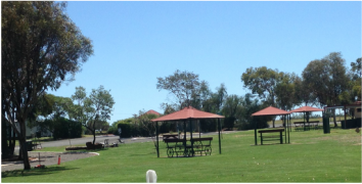 Located on the Warrego Highway at the Eastern Entrance to Mitchell, the park is only a short stroll to the Artesian Spa and the main street of Mitchell. The park boasts a variety of ensuited drive through sites, powered and unpowered grassy sites, camping grounds and extra large RV sites. The park is only a 100 metre walk to the Great Artesian Spa and Fun Park. The Artesian Spa provides a relaxing and unique outback experience - a soak in the thermal mineralised artesian waters is relaxing for the body and therapeutic for the soul. Kenniff Court House - the original courthouse where local bushrangers, the Kenniff Brothers, were committed to stand trial in 1902. Claravale Natural Wilderness Experience - spectacular panoramic scenery, native ecosystems and landforms. Mitchell on Maranoa Gallery - inspirational exhibitions from local, state and nationally renowned artists. 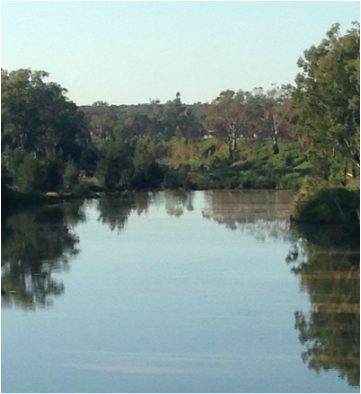 Maranoa River Walk - experience the tranquility of the Maranoa River, Neil Turner Weir and Fisherman’s Rest popular for its fishing and birdlife.